I knew about this beforehand; when I went to pick up my car (yesterday), I pointed it out to the salesmen. He seemed a little befuddled, and said he'd discuss it with his manager. He told me that three people had looked at it, and passed it off as 'the way it was designed'. I basically laughed in his face (nicely) and told him flat out that it would be a recall and that I would be in touch. As it's not an immediate concern, I'm not worried about it, but I'll be watching the forum to see what happens. I think my salesman was sincerely concerned about it. You can see from the picture that the "center" buckle is obviously NOT in the center. This isn't a design flaw but a manufacturing flaw. There doesn't need to be anything done for assessing, redesigning, engineering, only build the assembly correctly. The buckle heads were reversed by the part supplier during the manufacturing process. I'm in manufacturing And I see what was done. Honda did there best to make sure this didn't happen including imprinting the word CENTER on the center buckle. The supplier still didn't make the assembly correct. Someone at Honda needs to call the supplier and tell them. So does anyone know if crossing the buckles and having people using the seatbelt that way significantly impacts safety? And thanks to everyone for sharing any issues for us new buyers to be aware of! I'll go out on a limb and say the buckles were designed this way and installed correctly. The reason is to move the buckle mounting point wider for each seat, increasing passenger comfort. 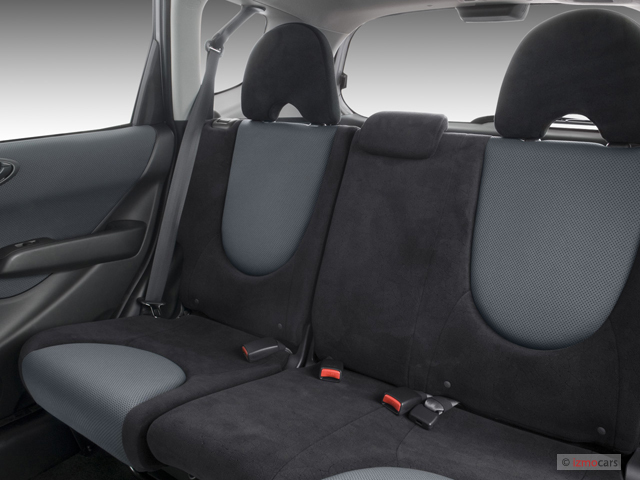 The Pontiac Vibe has a similar rear seat buckle layout. I got all worried and I was just gonna get a 14' Civic instead of the new Fit so I don't have to deal with this type of problem! But what you posted also made total sense. I think Honda is doing what Pontiac did w/ the seat belt system. I hope they will come out and make a statement and tell all the buyers this design is intentional. Though to be fair, back seat seat buckles have always been a mess... I remember fighting over the right buckles when i was a kid because they were always shuffled in wrong. I'm not sure whether it's a flaw or not. I was thinking that my GE Fit was done the same way (where the belts had to be criss-crossed), but I just went out and looked at it, and I'm wrong. With the GE Fit, the middle belt comes down from the driver side, and is basically a mirror image of how the GK is (middle belt comes down from the passenger side). Where the center buckle belts into (the one marked center), it is on the INSIDE of the passenger side's buckle, so they don't get criss-crossed. However, where the center belt comes down from the ceiling, it's attachment does get criss-crossed with the driver's side rear passenger, so you'd think both center belt attachments would be the inside buckles, but they aren't. Here's a pic of a GE to demonstrate. Far left is passenger's buckle, then next left is marked center, then the driver's side buckle, then the buckle for the center passenger's belt coming down from the ceiling. Last edited by SheepNutz; 06-25-2014 at 04:54 PM. reply to post # 25 I'm sorry but I don't agree with the logic. When I brought my FIT to the dealer. The head service manager printed out the TSB and showed me. I should have asked for a copy my bad. Honda Corp instructed my dealer to rotate the bracket 180 degrees. The service department actually did rotate the bracket 180 degrees And gave it back to me. I took noe look at the fix and said this is not right. Nothing lines up correctly belt going in opposite direction (belt now going to rear bumper ) . I made them put it back to the original orientation. The service manage never once tried to say that the buckles were correct. They said this is the only solution approved by honda you'll probably have to wait until it gets resolved. I wonder what the real design is. Guss Ill have to just wait until Honda make a statement about this. Last edited by dschiri1; 06-25-2014 at 05:51 PM. I only found it because the day after I bought the Fit we needed to take our Accord in for a TPMS fix and the dealer had it for hours. Got my wife and I and our three 5 and 6 year olds into the Fit. If you saw a TSB then it is was not designed this way. 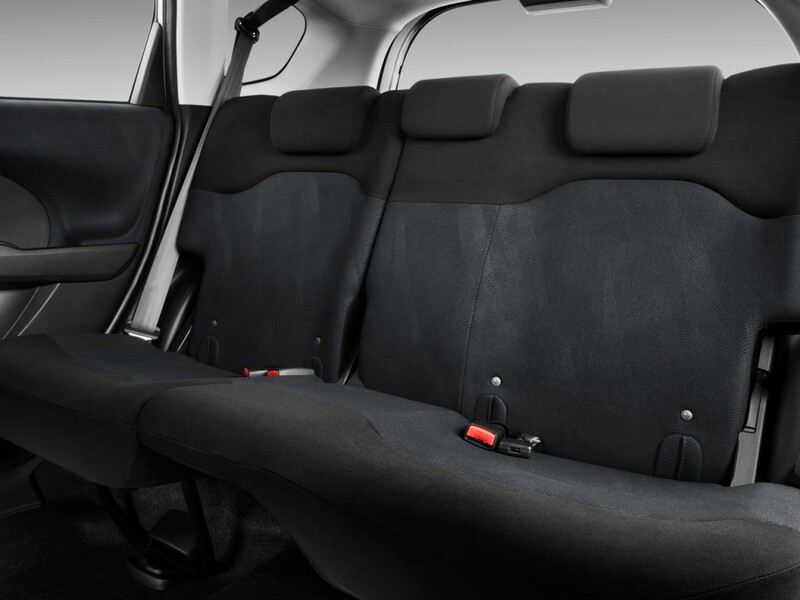 To some people, the center lap belts on our five-passenger Fit vehicles appear to be installed incorrectly; they’re not. Mounting the outer seat belt buckles inboard of the center belt and buckle gives the outer passengers more room to connect and disconnect their seat belts. This configuration is actually not something new and, we believe, provides passengers with greater convenience. Thank you Honda Customer Service for setting the record straight on this issue and for monitoring this forum. I am sure there is much that can be gained from seeing your customer's reactions to your product here. My Honda Dealers service manager said the same thing and he seemed pretty smart. I'm pretty amazed that my three 5 and 6 year olds can actually ride in the back seat in a pinch. Now what is the real problem (really bad problem) is that the user manual doesn't say anything about and ALL dealers don't know anything about it. A simple note in the manual could avoid it. Last edited by Carlos Silva; 08-18-2018 at 04:34 PM. Help baby on the way!